Get your night time style going Italian style by wearing stylish jackets and blazers by Tazio. These jackets are designed in Italy for the man that likes to have his club life attire looking good. 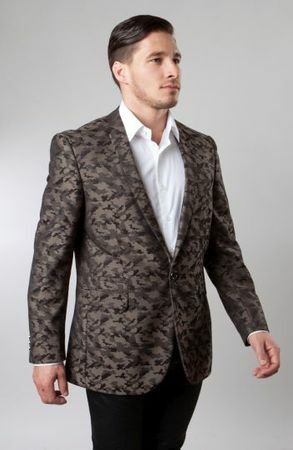 This brown patterned dinner jacket features the ability to dress up or dress down with jeans. It has side vents and is modern fit. Made of poly microfiber.